It seems like the Hikuroa sisters got the success they deserve all week long! During this easter week-end some of you have probably been hunting for chocolate eggs or, like your captain, spent their time digging some vinyls... or maybe visited the local church. 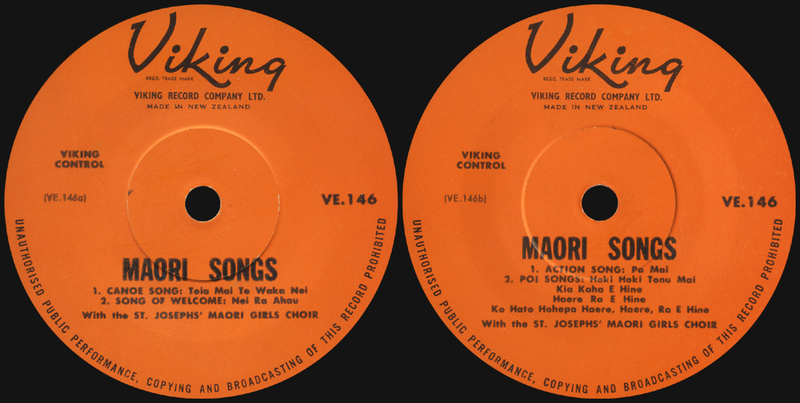 Well that's what we're going to do today with MAORI SONGS, St Joseph's Maori Girls Choir (Viking VE146 from the mid 60's). 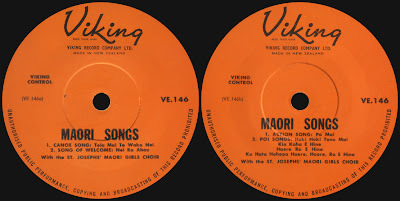 This ep is pretty scratchy but it's sure worth listening and it's always good to salute the great job that Viking records where doing at this time to promote the Maori culture. 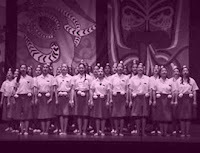 St Joseph's Maori Girls Choir are like an institution in New Zealand since 1867 and they even happened to get some big success! Several recordings of their performences have been published during the years and today we got some of them. 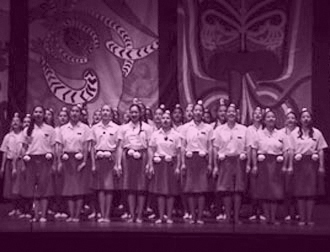 Let's just enjoy this handfull of sweet Action and Poi songs from the vocal traditions of the Maori people! Ah, you're really spoiling us! Truly delightful stuff. Many thanks. I guess you'll love the next post too, it will be in the same warm heartfull mood. KTK35: POSTCARD FROM THE CIRCUS !